« Disney Sweepstakes! Win a Disney World Vacation on the FlipSide! Book a Disney Cruise by February 15, 2015 and receive 50% off the required deposit. Click here to request a free no-obligation quote today! While this isn’t really a discount (the remaining balance is due at the time of final payment), the Disney Cruise Line Reduced Deposit does give some incentive to book a cruise right now. Do you really need a deferred deposit when your heart is set on spending quality time with family or friends at exotic destinations on the cruise line that was voted number one large ship line of the year based on over a million votes from approximately 77,000 readers in the Condé Nast Traveler 2014 Readers’ Choice Awards? No, you don’t. But if they’re offering it, you may as well take it, right? 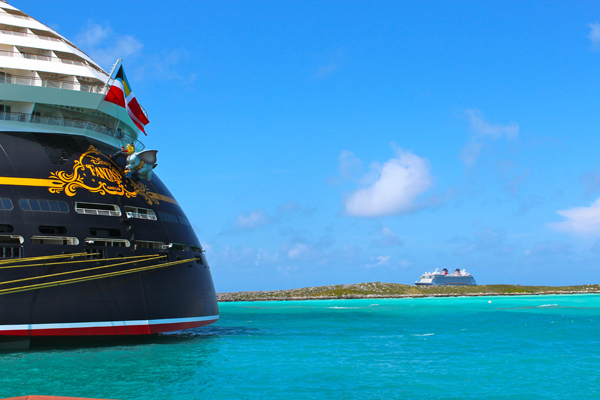 Are you ready to set sail on a Disney Cruise? This entry was posted on January 6, 2015 at 1:01 pm and is filed under Disney Cruise, Disney Deals & Offers, Disney Vacation Planning, Travel. You can follow any responses to this entry through the RSS 2.0 feed. You can leave a response or trackback from your own site.